What a beautiful pic! Whee only see the sun through the curtains in the morning . Maybe whee need to wheek earlier at Mummy so that whee can watch the sun rise?! Nice to watch, and to feel also! Very peaceful photo – I like it very much. We love the sunrise too! The whole pack comes alive when daybreaks and we howl the sunrise in! I would love to see (hear!) that!! Dog ears make me SO happy. Usually my very own rescue mutts, but I have been known to fall madly in love with a set of furry ears from far away too. Gorgeous photo! Dog ears make me so happy too, i also love the photos of your dog on your blog today! 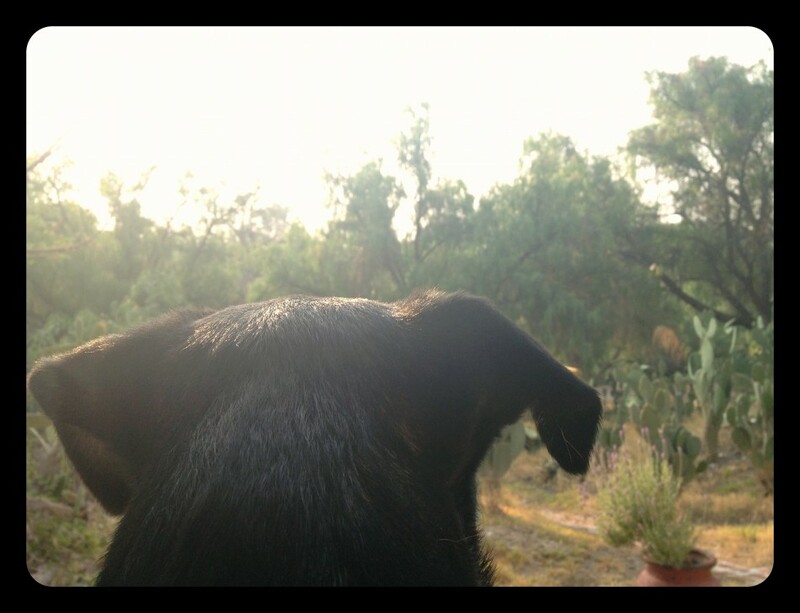 I have a whole bunch of photos of the backs of all my dogs heads… I feel like its a particularly tender and special angle to capture them from. I am happy to meet someone else with a love of dog ears, I will have to start putting more of those special shots up. Thanks for stopping by and taking the time to comment! Hello to you too Miss K! I miss lots you and can’t wait to see you… soonly! This little Wednesday girl, she is a real heart melter, totally pensive all the time.